Development of personnel qualified to provide services in the health, education and social service systems. Provision of services, technical assistance and the dissemination of information. Contribution of new knowledge about the causes and prevention of developmental disabilities, the impact of disabilities on individuals and families, and the efficacy of assessment, intervention and support methods. As a member of the University of Wisconsin System, the Waisman Center UCEDD adheres to the fourfold university mission to advance research, academic training, service and outreach. The following principles reflect the core values and approaches that are common to activities of the UCEDD. people with developmental disabilities and their families are in the best position to identify their concerns and priorities and to make their own decisions. people with disabilities and their families must be provided services and supports in a manner that is understanding and respectful of their culture and heritage. families have the right to expect quality, comprehensive, coordinated interdisciplinary services and supports with confidentiality assured. individuals and families are encouraged to draw upon the resources that exist in their local communities, and to call upon the Waisman Center programs for technical assistance with assessment, diagnosis, development of intervention strategies, treatment and care coordination. 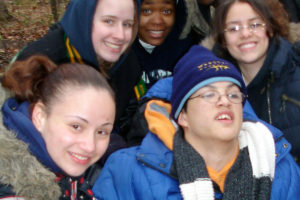 appropriate services and supports are available to foster inclusion in local community programs. educational activities promote the value of inclusion, based on the belief that each person has the potential to make a positive contribution to his/her community. interagency collaboration and community partnership that is responsive to the needs of individuals with developmental disabilities and their families. providing activities that link theory, knowledge, values and developmentally appropriate practice. striving to incorporate clinical research in training and services to individuals and their families. assuring that program opportunities are accessible and responsive to consumer requests and input. evaluating program directions and maintaining openness to new and innovative ideas. Feedback, questions or accessibility issues: sanders@waisman.wisc.edu.